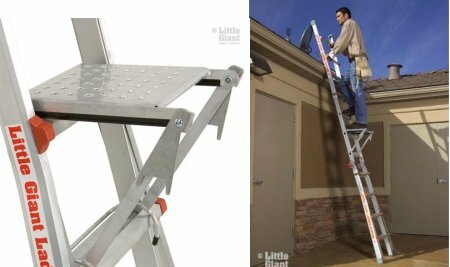 Currently viewing the category: "Ladders"
How-To Question: Best Way To Hang Lights? 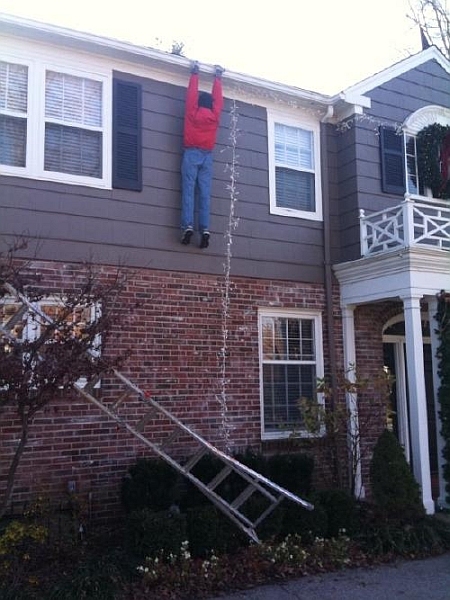 Don’t panic: the picture is from Snopes.com, and it is — actually was — a holiday display set up on a home in Kansas City. 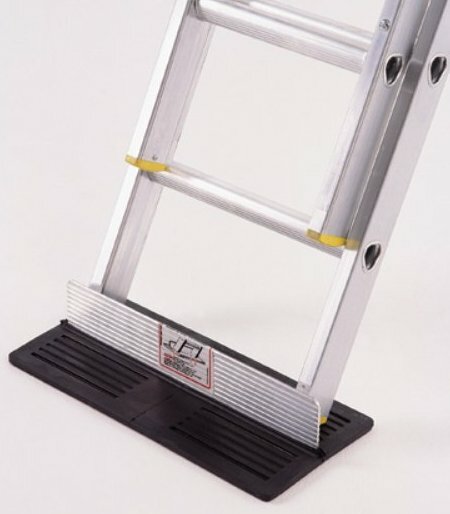 The resident dismantled the display because it — as you might expect — caused a few problems such as people stopping, often very quickly in the street, to “help”. 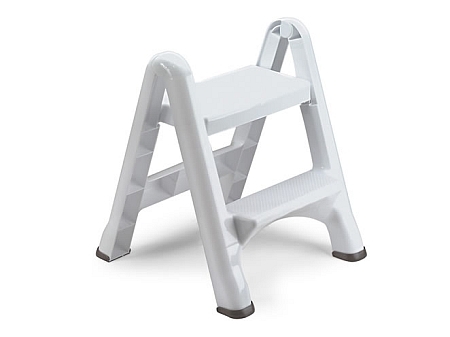 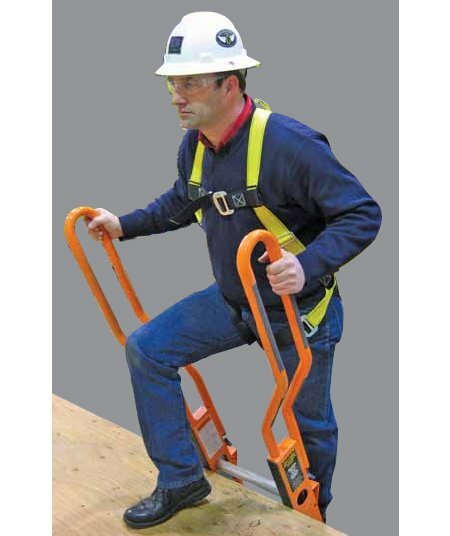 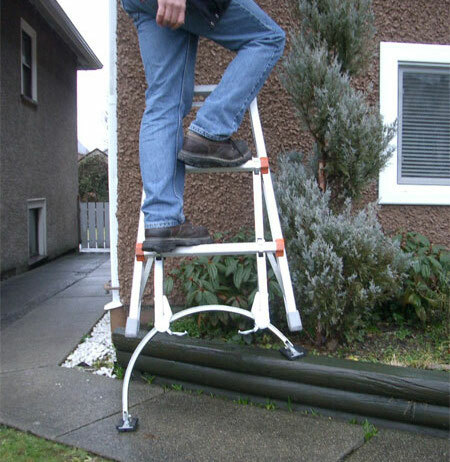 Just strapping your ladders down may not be enough — depending on the job site it might be advisable to secure them so they don’t walk away. 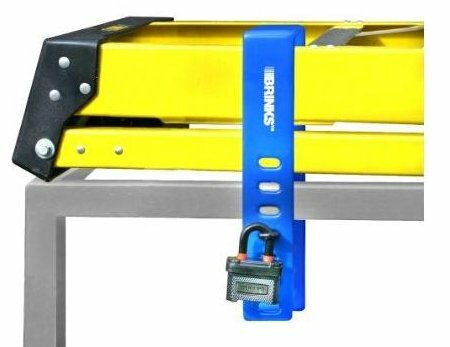 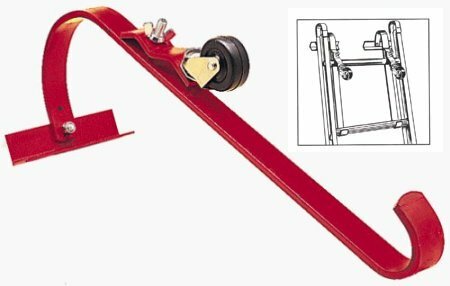 With its adjustable slotted u-bar, Brink’s Ladder Lock may be what you need to secure one or two ladders to your vehicle.